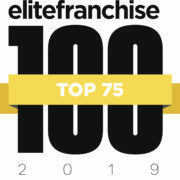 Rosemary Bookkeeping, one of the UK’s leading bookkeeping franchises, has been named in the top 100 franchises in the UK, according to a guide by Elite Franchise. Rosemary Bookkeeping featured in 90th place in the guide and was joined by fellow franchise brands under the ServiceMaster franchisor umbrella, ServiceMaster Clean (26), Merry Maids (39) and TruGreen Professional LawnCare (76). Brand Leader for Rosemary Bookkeeping, Hannah Banfield said: “ServiceMaster acquired Rosemary Bookkeeping in August 2017 and we’re delighted to be featured in this years’ Elite Franchise 100. With a fantastic network of Franchise Partners in place already, we’re excited to see the franchise develop further and climb the list of the top franchises in the UK. Rosemary Bookkeeping is a franchise of ServiceMaster, which has over 300 franchisees operating in close to 700 licensed areas under its brands, including ServiceMaster Clean, Furniture Medic, Merry Maids, TruGreen Professional LawnCare and Rosemary Bookkeeping. All aboard for the Rosemary Franchise Forum Afternoon Tea with Rosemary!